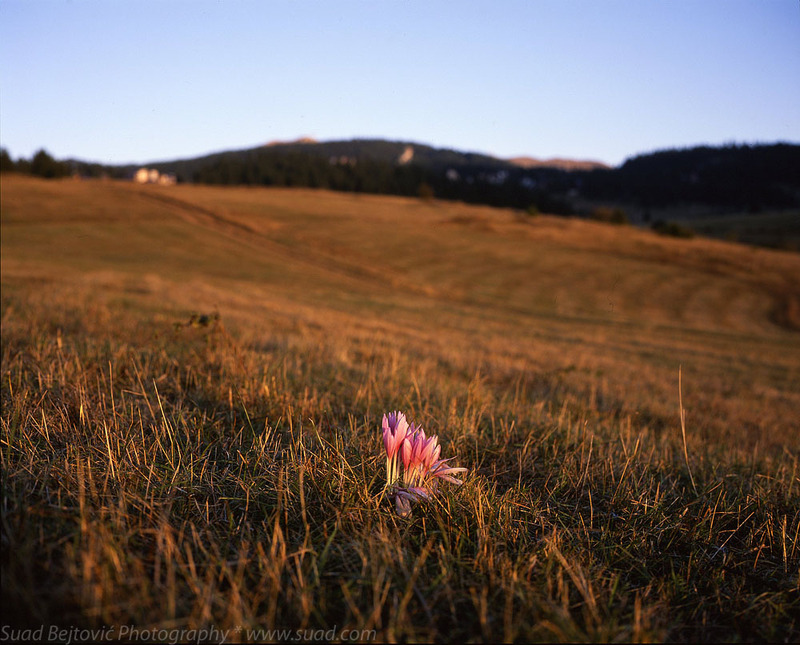 Vlasic «Suad Bejtovic Photography etc. Suad Bejtovic Photography etc. In October of this year, as I try to do every year, I visited my homeland of Bosnia and Herzegovina and spent two weeks with the closest members of my family – mom, dad, and sister. The four of us wanted to take an extended weekend trip to a resort on the mountain of Vlašić, a few hours north of the home town and capital of Sarajevo. All photos in this post were taken with my new medium format film camera, Mamiya 7. To properly write “Vlašić” is hard enough with English alphabet, and to pronounce it even harder. But the place is a gorgeous ski resort, which we visited before the first snow and the official start of the busy season. 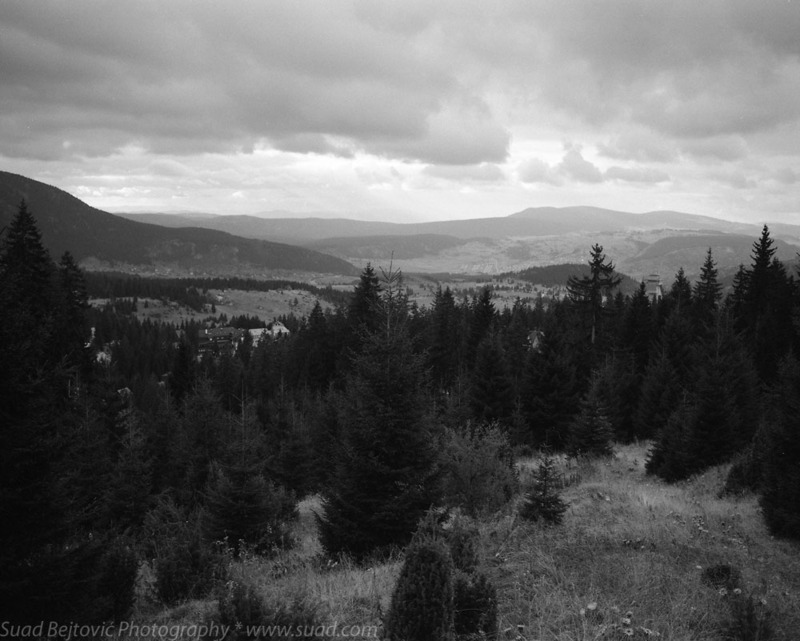 The black and white photo above (Ilford HP5 film) was one of the first I took up there, on a trail just above a ski jump tower, which can be seen above the tree canopies on the right. The sky was quite foreboding and threatened the sleepy valley below. The following morning, I was too lazy to get up and shoot the sunrise, but in the evening, I went back up the trail to try to catch some of the warm “golden hour” light. The clouds parted a bit and just before the sun went down, it lit beautifully this row of conifer trees. 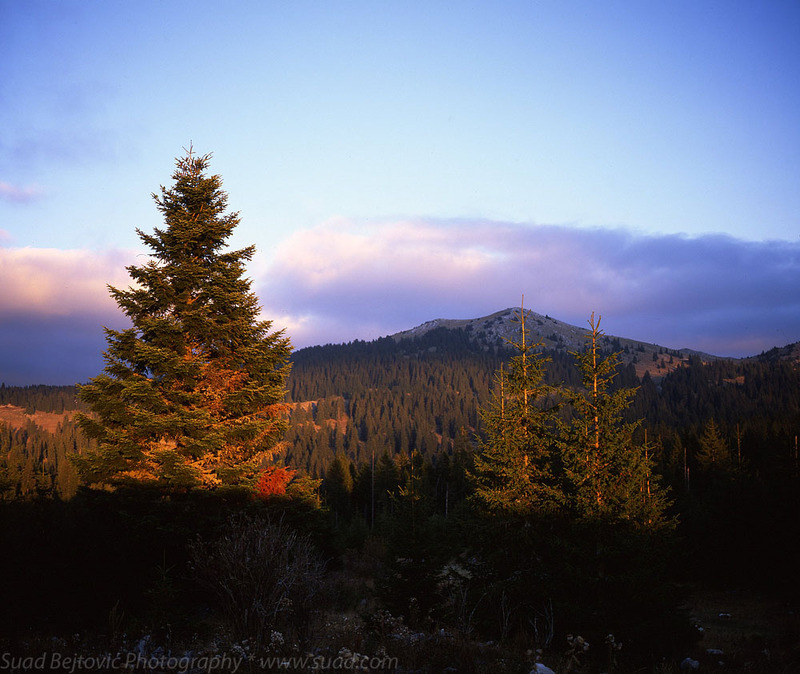 I like the way that streak of red stands out among the green, both of which come out great on the Fuji Velvia film. 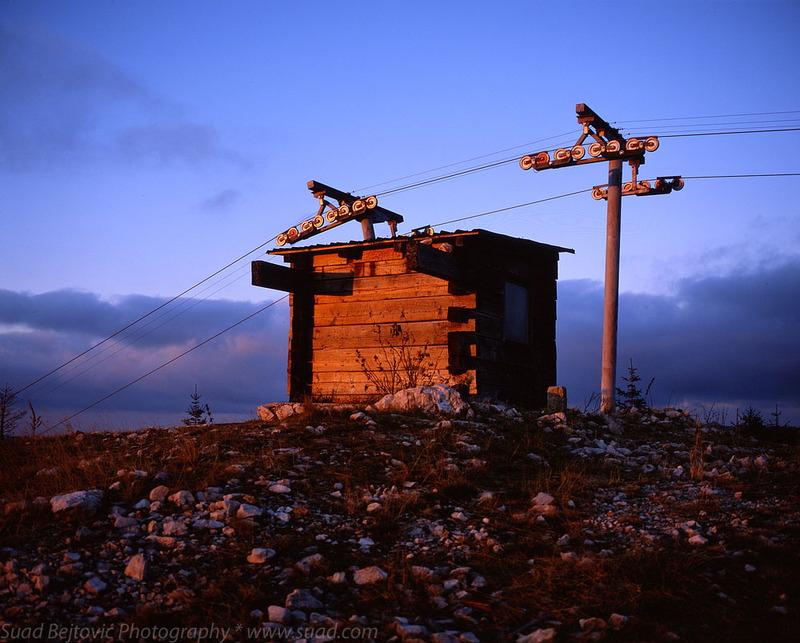 Remarkably, I managed to squeeze one more shot during this golden hour – the odd looking building is a tiny wooden shack at the top of the ski lift. The wood picks up the warm light nicely, enhanced again by the magical Fuji Velvia. A day or two later, on our last evening on the mountain, I went for a walk in a different direction – not as much elevation gain as the top of the ski lift, but still some nice scenery. I was walking through some fields and found this bundle of color in the grass. I envisioned a depth-of-field shot, turned my aperture to f/4 and got as close as I could to the flower. The depth of field in the resulting shot was a little too thin, but I still like the way it turned out. For more of my photos from other trips to Bosnia, visit my Flickr sets here, here and here.